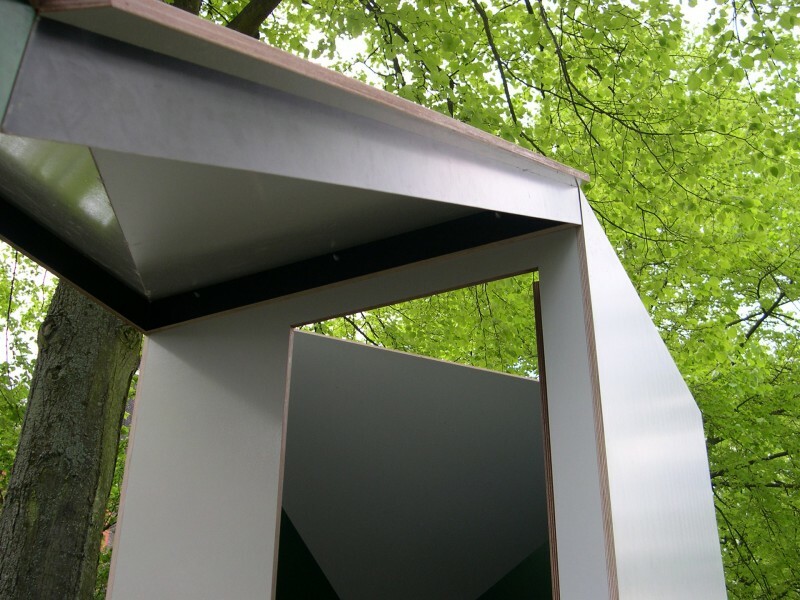 Easehouse is a temporary public toilet for Stichting Singeldingen, a foundation that pops up every summer along the Heemraadssingel in Rotterdam West, providing a coffee bar and public activities for the neighbourhood. 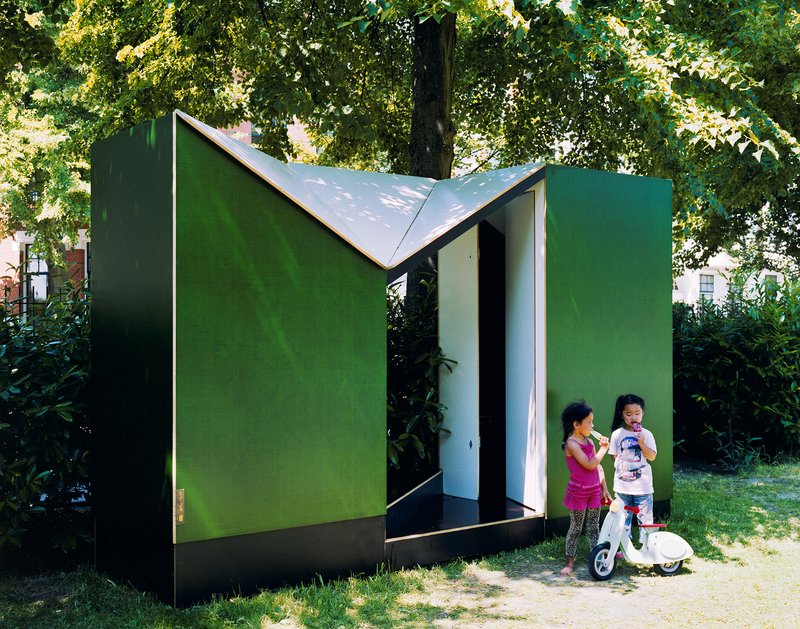 In order to generate a pleasant experience in the park, Singeldingen decided it was time to give up the old rental toilets and invest in a proper house of ease. To its own dismay, the choice for toilets so far was limited to eco friendly dixies. That’s why they asked us to design an attractive, inviting and above all, eccentric toilet, to reflect the ambitions of the foundation, which are to inspire, stimulate and facilitate public life, with an artistic undertone. We got asked to design an attractive, inviting and above all, eccentric toilet, to reflect the ambitions of the foundation. The toilets are placed in the adjacent public playground, so they can be closed off at night when the playground fence closes. Our main design idea was not to deny the fact that you are attending your private business while being in the public space. 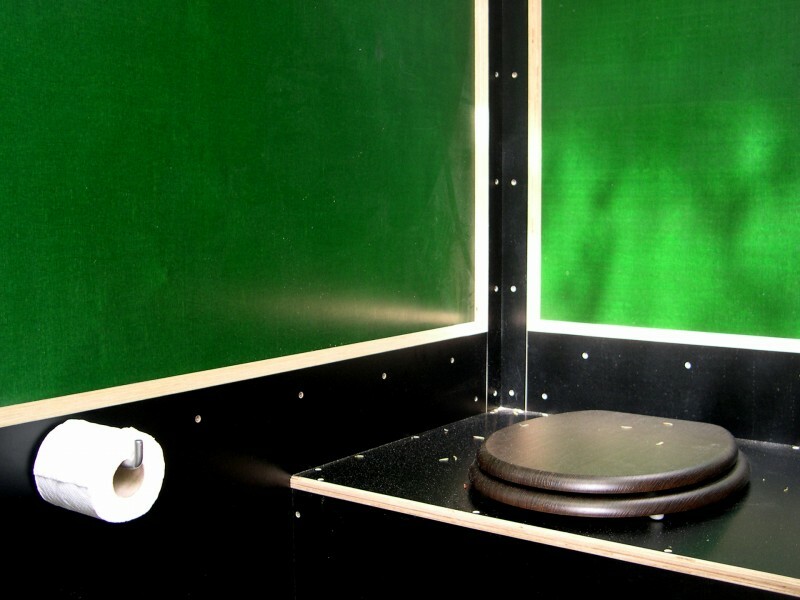 Secondly, we wanted to give visitors to our toilet – which could undeniably become a bit messy being a public facility – an unexpected pleasant surprise, both in material use as in detailing. 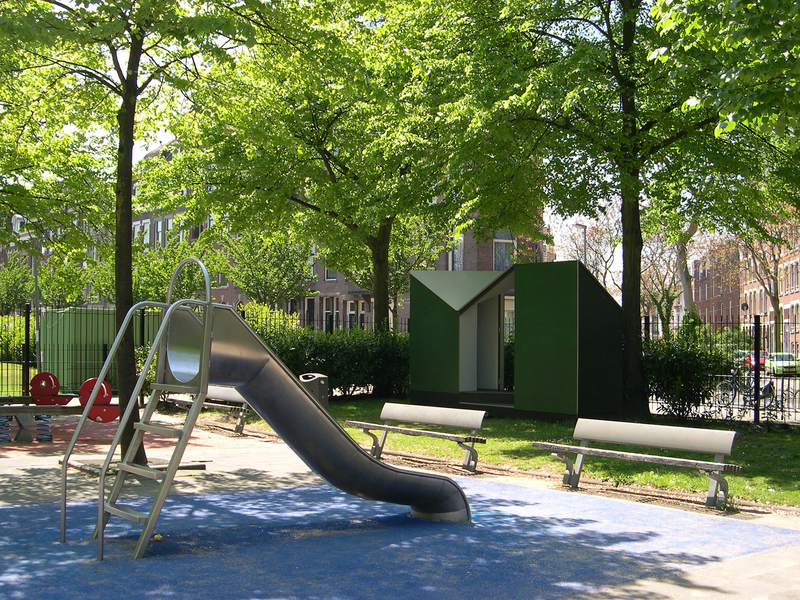 The composition of the two toilets with a diagonally stepped central entrance, which provides a gruadual transition from the public space of the park to the privacy of the toilets, is also making a height difference between a children’s toilet and an adults’ toilet. 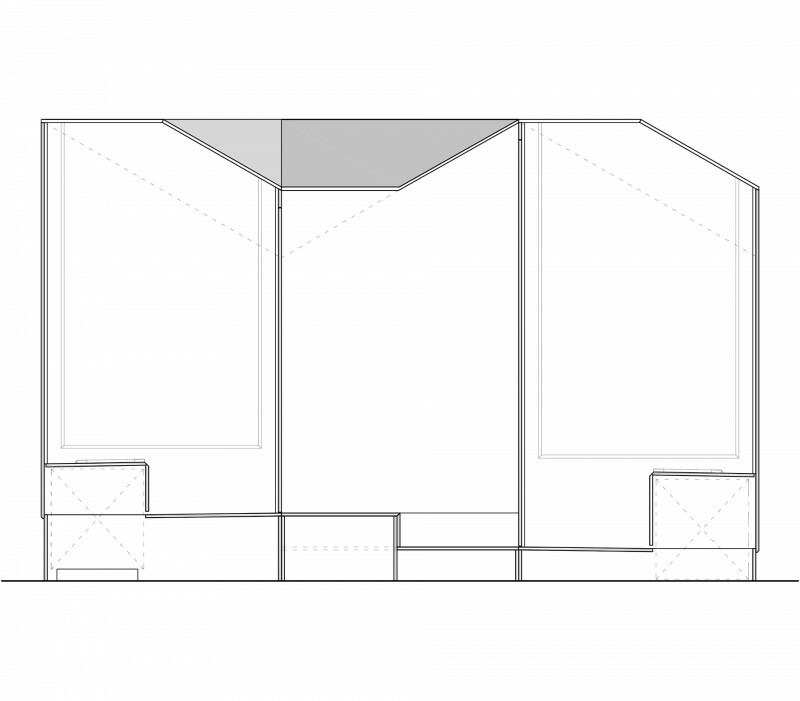 Once inside, the visitor is surprised by the triangulated roof that is partly kept open. This reinforces the idea of still being outside whilst also providing the necessary ventilation. 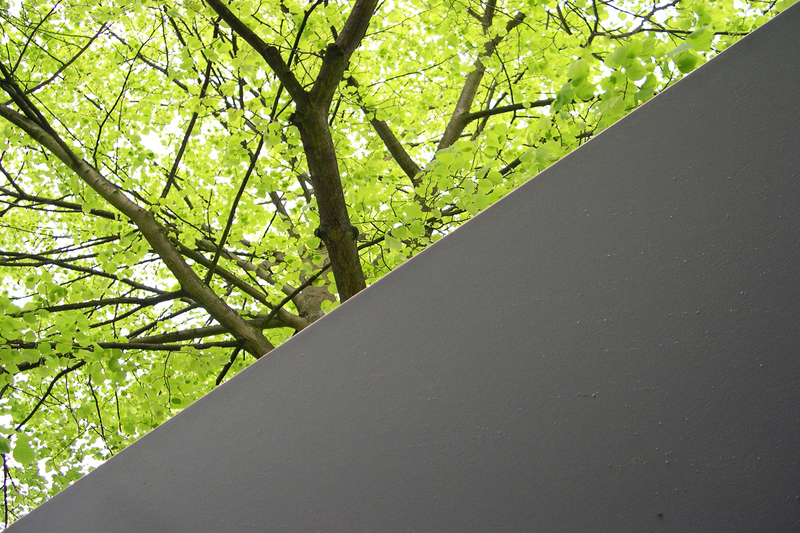 The tree above the roof gives a protected, covered feeling and casts shadows into the interior and on the closed roof surfaces, which act as projection planes for the ever changing shadows of the leaves and branches above. 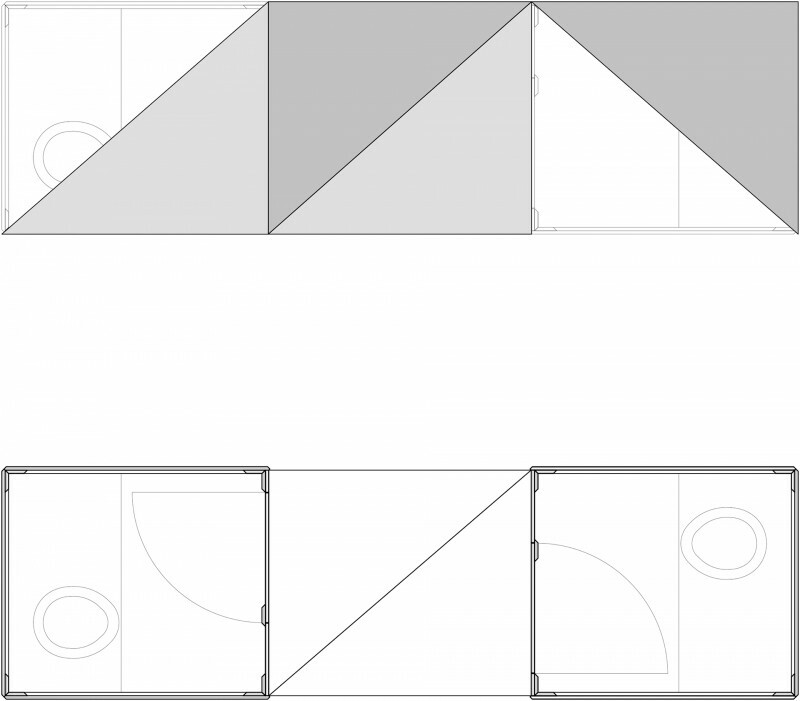 Once inside, the visitor is surprised by the triangulated roof that is partly kept open. This reinforces the idea of still being outside whilst also providing the necessary ventilation. 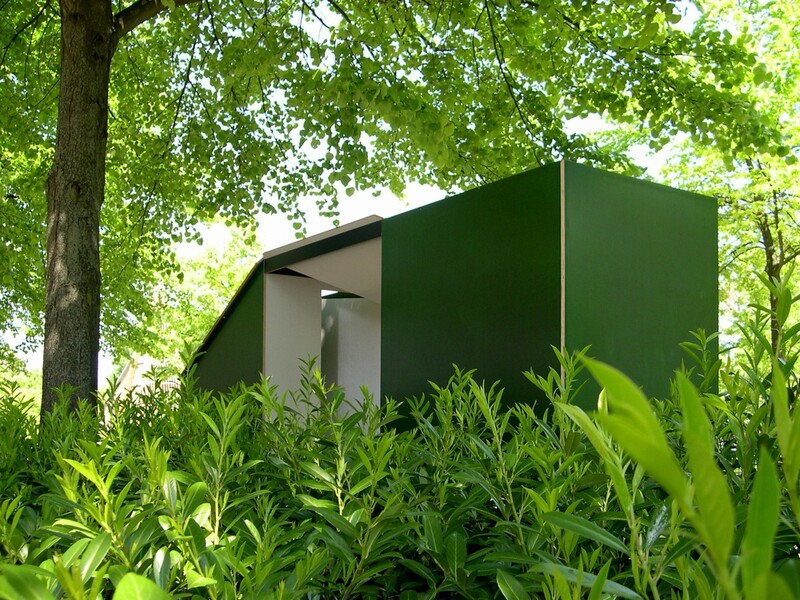 Being a temporary building, the whole construction is made out of green and dark brown concreteplex and is designed in such a way that it can be taken apart and transported on a small trailer, for it is only used in summertime. As a pleasant surprise, local inhabitants offered to keep the coffee bar open and take care of cleaning the toilets from the end of July onwards to the end of the summer. It is exciting to see that such a humble little structure is embraced by the people it was designed for and that people take care to keep it functioning all summer long.